Great Britain is on the verge of an energy crisis. Current forecasts predict energy prices to continue to outstrip inflation for another 17 more years, each year an estimated 25,000 people die in their homes from the cold and we are now warned that the country could face blackouts as soon as 2015/16. As North Sea oil and gas supplies have steadily dwindled year upon year political rhetoric has focused on renewable energy sources, such as wave power and wind farms. However renewable sources have proved to be too inefficient and impractical to provide enough energy to sustain the country on a day-to-day basis. Britain sorely needs a new long-term energy strategy. The future of energy for Europe looks likely to be a combination of mostly nuclear and renewable sources and countries such as France are benefiting from some of the lowest energy prices in Europe, thanks to significant investment in nuclear fission reactors. It will take decades for Britain to catch up with this level of nuclear energy production and it is clear that something needs to be done in the short-term to prevent the looming energy crisis. A shale gas revolution is what Britain needs. We want energy costs lower, both to ease the burden on squeezed households and also to drive growth in the economy. In 2012, energy prices in the United States were a quarter of those in Europe thanks to their shale gas revolution and this has encouraged many American businesses to relocate back to the country bringing both growth and employment. Shale gas has a host of benefits to bring and rigorous scientific research has shown that the environmental impact, associated with the hydraulic fracturing or ‘fracking’ of the gas, can be minimal if proper safety precautions are taken. 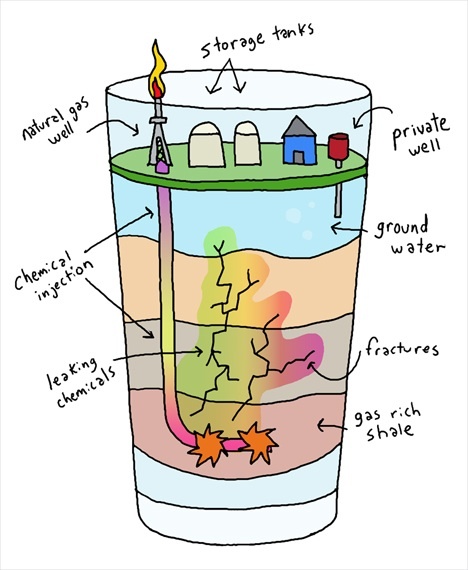 Fracking is controversial for good reason. The chemicals used in the process can contaminate water supplies leaving locals without drinking water and even more worryingly, the water used in the process can bring up radioactive isotopes from deep below the ground into the biosphere which leads to carcinogenic chemicals entering the food chain. However studies have shown that safety breeches are not common place, a study undertaken by MIT showed that only a handful of wells drilled in the previous decade have led to contamination. The environmental impact of fracking has been shown to be minimal when proper safety precautions are taken and there is no substantial evidence that the process causes earthquakes. If the anti-fracking lobby wishes to be taken seriously then they need to put forward a better alternative to fracking, because it is clear that a solution to the energy crisis is sorely needed. Fracking that is properly regulated should be welcomed in Britain; energy prices need to be reined in, not the least to buy the government enough time to get a proper long-term energy policy in place. This entry was posted in Uncategorized on March 5, 2014 by financebusinessblog.